Located in the heart of New York City, AMY O. Bridal features pieces that are designed and handcrafted to be as unique as each of our brides. Our beautifully handcrafted designs are made with high quality pieces and are customized perfectly by Designer and Creator of AMY O. Bridal, Gina Nam. AMY O. 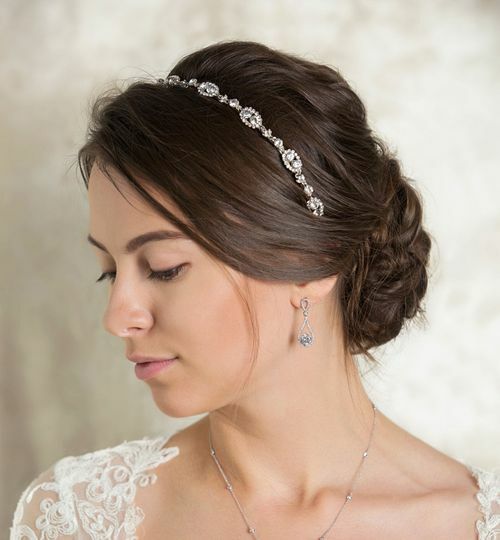 Bridal began in early 2013 after Gina's other accessory line, AMY O. Jewelry - an acronym for "Accessories Make Your Outfit." AMY O. 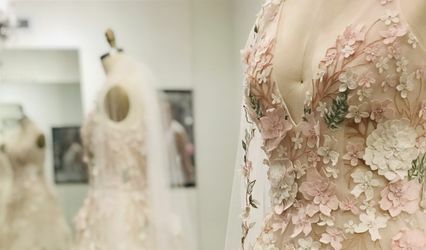 Bridal features unique and original designs with the aesthetic to stand out from the crowd on your special day. While your dress may make the first impression, your accessories bring your look together and complete your love story. Wow. Simply put: the best in the industry. I researched for many days before realizing that literally nothing compared to AMY O's pieces. Gina's stones and metals are exquisite. I don't know how she keeps her prices so low; she could *easily* charge well over 10 times her listing prices. Other designers charge just as much if not more, while using grossly cheaper materials and less intricate designs. The difference in quality is honestly appalling (even to the untrained eye). Gina, on the other hand, is a perfectionist and style guru who obviously cares about giving each and every customer the ultimate fairytale. Her accessories are ethereal yet show-stopping. She made me a custom necklace with a Y back drop (to help create an hourglass shape) for my backless dress. No one could get over the stunning, flawless crystals dripping down my back. So incredibly unique yet understated. And editorial photographers had never seen anything like it and were beyond obsessed. Even the double-strand front portion of the necklace was absolute perfection on its own, down to the smallest details. I have never in my life been so over-the-moon about a purchase. I could not be more grateful, and Gina is not only the most talented, but also the most compassionate, accommodating, and knowledgeable goddess of a person. Truly unreal. First, I bought my headband for my wedding day. It was an unbelievable quality and the crystals picked up every color. It was really unique and had a larger flower that really stood out and complimented my simple dress. Her price was so fair. Then, Gina was unbelievably patient with creating my vision for my and my bridesmaids broche bouquets. I showed her a picture of what I wanted and she made an even better version of it. She has such an attention for detail and takes a great care with her products. She spent so much time with my mom and I before she made them and when I came to pick them up, she individually wrapped them and gave me tags to write messages. I strongly encourage you to trust Gina for your wedding day. You will not be disappointed. In fact, you'll be blown away by her work and inspired by her dedication. Gina was one of the sweetest people I've ever met. 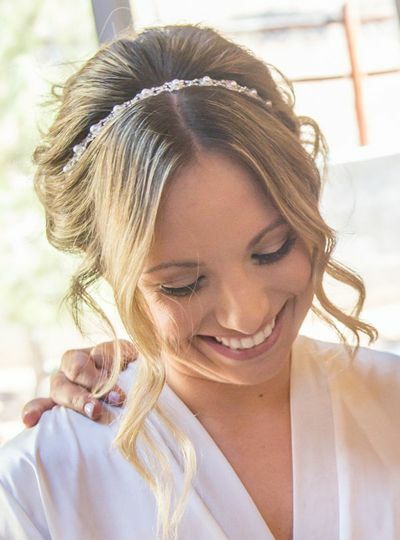 She worked with me and my budget on the most beautiful brooch bouquets ( 1 for myself (the bride) and 2 for both of my bridesmaids) Everyone at my wedding and those who couldn't make it to my wedding kept asking where I got the bouquets from and just how beautiful they were and of course I told them!!! I would/will refer her to my friends and family!!! Thank you for your amazing job Gina!! !